The EMAC 535SE is the most recent offering from The Audio Guild, a California-based company run by Steve Eddy and Liam Strain, who are two of the nicest guys I’ve ever spoken to. 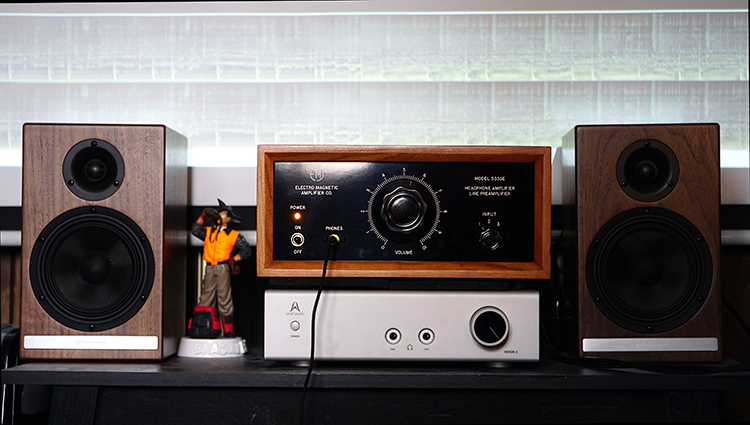 They were dead set on fashioning a very retro-inspired Single Ended Triode-ish listening experience for us audio nerds…and boy did they deliver. The Audio Guild set out to design a headphone amplifier that “captured the magic of SET amps without the heat, expense and need to replace tubes.” They’ve implemented a hybrid passive/active circuit design that retains the flavor and appeal of the classic SET, also intentionally using the exterior styling of old school Blackface Radios from the 1920’s. The interior design and actual layout of the board reminds me of Burson chipsets. It is almost an art form, a masterclass in literal physical implementation. After removing the rubber feet and three bottom screws, the innards of the amp slide out like a desk drawer. Interesting design here, I’ve never come across a slide out design like this for the entire inner workings of an amplifier. Normally, the chassis or a panel may be removed on one side to allow access. This 535SE seems to have ease of use in mind and doesn’t want you to potentially gouge the luxurious wooden exterior with screwdrivers or potential bumps along the way. You may think she is heavy by the appearance, but I rate it around 11lbs total or so, which is fairly light for a wooden chassis amplifier. You’ll notice there is quite a lot of empty space inside and the board itself is very short. Again, it is a retro-inspired design and I love it. This is big on purpose, it is intended to be flashy and elegant in appearance: “the centerpiece of the rig”. “We could have put the 535 in a nice shiny metal box, but we wanted to pay homage to the earliest single-ended triode amps. To that end the 535’s industrial design is what we like to call “deep vintage” and was inspired by the wood-cased “blackface” radios of the 1920s where vacuum tubes saw their first widespread commercial use. The 535’s faceplate is made of engraved Traffolyte, a material first developed by Metropolitan-Vickers in the late 1920s. It is a phenolic laminate made of different colors such that engraving through the topmost layer reveals the color below. This was superior to previous engraved plates that required the engraving to be filled with paint. The knobs are genuine DAKA-WARE bakelite produced by Davies Molding who first began making these knobs in Chicago in the early 1930s. The front panel power switch and headphone jack are made by Switchcraft, also of Chicago who began making high quality jacks, plugs and switches for the telephone industry back in the 1940’s.” – Steve Eddy. 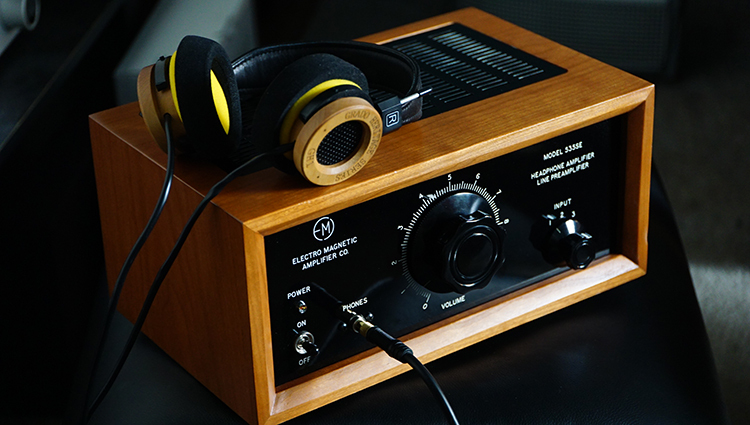 The 535SE has 3 RCA input sets and one RCA preamp output set, one ¼ inch headphone output and one of the coolest volume knobs I’ve used in recent times. No heavy clinking with that dial, just a smooth as butter transition from one point to another. True, I prefer more options for headphone adapter types with such a price tag, but it seems like it wouldn’t have made sense to design into a retro amp anyway. My balanced headphones feel left out, so that might be something to consider if your primary headphone has a balanced connector on it. 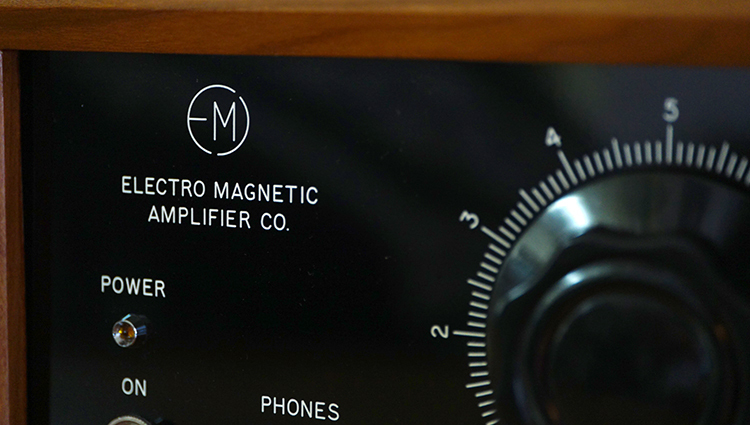 Sadly, you won’t be able to use this amp with anything but a quarter inch headphone plug. Very inefficient headphones also are a no go with this one, as the max output into 32ohm is only 2w, which is similar to the Burson Soloist amplifier I’ve reviewed recently. 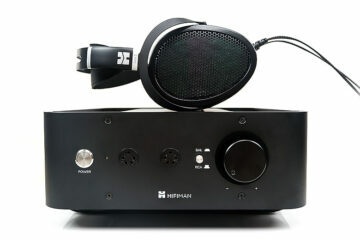 Hifiman HE-4 and HE-6 users…sorry, this 535S isn’t remotely suited for you. Let’s let Steve himself speak about it instead of me, as he is the expert in this area. “The epiphany which led to the 535 was effectively taking the classic SET amplifier and turning it inside out. The transformer is moved from the output to the input and instead of a step-down it is a step-up, providing all of the 535’s signal amplification. The 535 uses a high quality, studio grade microphone transformer to perform this task passively and with vanishingly low noise and distortion. The active devices then take the place of the output transformer providing a low output impedance and the current required for driving headphone. The 535 uses a unique wholly single-ended JFET/bipolar output stage. JFETs share a number of characteristics with vacuum tube triodes and bipolar transistors provide low output impedance’s with ample current capacity. It is this splitting of tasks which separates the 535 from the typical SET amplifier which must rely on the active device to provide all of the amplifier’s power.” – Steve Eddy. It seems a ton of time and care went into this project. If any of you know me, I adore those designers who had a specific sound or appeal in mind and who had spent years attempting to make that specific dream a reality. Instead of a mashup of cost effective parts in a randomized order, Steve and Liam had a plan and knew what they wanted, where they wanted it and made sure to design it in such a way that would make themselves happy as a listener. We are all just along for the ride, as it is clear this was a passion project from the get go and that their intentions were to satisfy the inner audiophile, as well as others who may share a preference for this type of a sound. I give major respect to anyone who implements a product in this manner. The reason for that is team Audio Guild made sure it sounded good beforehand and that it was to their satisfaction. Of course, most designers attempt this, but hearing Steve’s story really hit home with me when we spoke over the phone. I understood his plight of “needing this to sound this or that way” specifically on an emotional level. The reason I am even typing all this is because it’s the first system I’ve seen that had circuitry that was absurdly simplistic, yet offered quality well beyond what I expected. I am impressed. I was stunned when I first heard the amp upon booting it up, plugging my loaner Focal Elear in and also pairing with an older Red Wine DAC. Low and behold, I was beyond surprised to find even more smoothness and elegance offered than my $2000 Airist Audio Heron 5…which is my favorite solid state amplifier to date. I had to switch back and forth a few times between them to see if what I was hearing was true, or if I was a victim of new toy syndrome. Turns out I was certainly hearing a slight superiority in the 535SE each time I swapped to it from the Heron 5. More smoothness across the board, no doubt, the 535SE provided the more smooth and rich sound signature. It seems equal parts bass and mids without any bleed into each other, but I am detecting just a pinch of sweetness up top in the treble area. Sweetness is good, it seems to be offering ever so slightly elevation to my ear in the upper frequencies. Very enjoyable sparkle factor, never painful, annoying or wince-worthy. Not surprising at all, since this was the aim of the SET-type of a sound signature from the get go. This amp sits right on the edge of those considered to be musical and those considered to be more natural sounding. It has gentle striations of potential bass warmth most of the time, but only just enough for me to consider it so. By comparison, the Heron 5 is noticeable more warm and exaggerating. Certainly, there is a tonal coloration difference between them, but I can’t question the 535SE as residing closer to the middle ground area with more potential for a natural tone presentation. What that means is that the Heron 5 will exaggerate more than the 535SE, but only just noticeably so. This is a wonderful thing for those who just want to enjoy music and who don’t worry about full accuracy. I call those types of listeners “musicality chasers”. I am one of them. Those who prefer a clinical, extremely accurate experience should avoid this amp, as it will not be recommended by me for your rig if it is composed of non-exaggerating headphones or DAC setups. Sure, you can pair with a truly elite clinical headphone and DAC that is regarded as brutally honest and still have it sound outstanding in quality, it just won’t be highly clinical and accurate to boot. But if that is the case, there are certainly much better amps out there for accuracy in tonality than this 535SE that I’d suggest instead. If you want an amplifier that isn’t supremely clinical, but that is regarded as more middle ground in tonal offerings, then I highly recommend this 535SE. In terms of physical quantity, I feel it underwhelming for usage with my Elear and even my Massdrop HD6xx, which recently arrived. If you are into the boomy bass thing, look elsewhere. This amp is too smooth and easy going for you. You’ll want something with more kick and dynamic impact than this. Those who enjoy a relaxing ride through your tunes, those who pick up a glass of wine or puff on a pipe would be right as rain here with the 535SE when it comes to bass quantity. Yes, I found myself adding a few dB with my digital EQ down below, if only for subjective preference. I like my bass vivid, after all. As far as quality goes, I detect excellent detail with a moderate thickness in regards to tonality and texture overall. Quality and clarity are just a bit better on the 535SE than the Heron 5 and few steps better than my Elise from Feliks Audio. I reference the Heron 5 so much because it is my pick for the top tier, best amp sub $2000 money can buy for those who don’t care for clinical appeal in their experience. To compare a cheaper product like the 535SE that offers even more inputs and a wooden chassis only makes the deal sweeter. It seems the 535SE is the more well rounded of the two amps in question here. The Heron 5 is the one that feels just a bit heftier in the bass region by comparison, also with less potential to reach into a more natural sound with regard to anything deeply rumbling. What this means is that the 535SE is middle ground, not too thick, certainly not thin sounding. It is right where I think most listeners would prefer it to be with regard to the physical vividness of the bass experience itself. Top tier quality, undoubtedly though. Rich, highly textured and detailed. Also, balanced and linear standing next to the bass experience in terms of quantity and heft. Neither really struggle for attention. This could be a negative quality for those who desire a mid-forward, highly intimate sound. If you are into that sound, as I am, I would recommend looking towards a better-suited midrange and intimacy build setup. This 535SE is all about kicking your feet up and relaxing, so I don’t consider it hyper-engaging midrange attack presentation friendly. HD650 lovers, Focal Elear lovers and anyone who values their moderately forward setups will love this sound. Don’t fret though, it isn’t even remotely recessed or U-shaped, which means a distant feeling midrange in terms of physical location. Quality is sublime, of course. 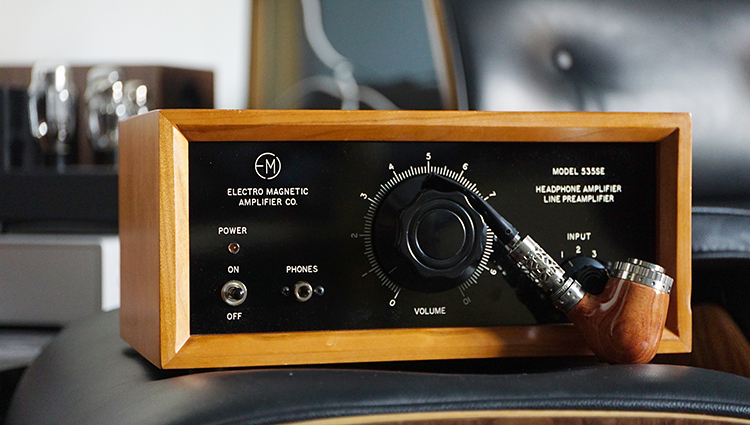 Against the $699 Feliks Audio Elise + upgraded tubes, the 535SE is the more musical of the two by a few steps, as well as clearly superior in overall fidelity top to bottom. Swapping between all three mentioned amps with a vocal only track from the Metal Gear Solid: Snake Eater OST reveals my preference subjectively for the Heron 5 again, which feels just a bit more bloomed and vividly thickened up in terms of tonality. I spent a few hours trying to figure that out for sure and simply gave up. I will call it a draw between the Heron 5 and 535SE, but the 535SE seems the wiser choice for those who want something a step less colored and exaggeration-prone of these two models. We are dealing with the top tier quality offerings in the sub $2000usd category here from both, so the door can swing either way depending on your personal preferences and how you like to listen. The 535SE might be better for the more relaxed and broad sounding recording, the live performances and such in my humble opinion. Oddly, the upper end offered from this amplifier is what I consider gently sparkled and well suited for the treble master Focal Elear and even the HD800 from Sennheiser. It is difficult to find an amp that is just ever so slightly boosted up top, again like due to that SET tone attempt in the design, but one also that doesn’t go overboard and toss anchor into the deep waters. That gorgeous, glistening in the sun effect is what I am after and only a few amps have done it proper that I have experienced in this tier. It is not bright, nor dull and veiled. It is right in that moonlight stroll around a lake, twinkling star type experience. Sorry for the flowery language on that, by that I mean that the background (like the night sky) is very jet blackened and the treble can sparkle like stars with just the right amount of brightness to consider it lovely and easy to listen to. The physical and dynamic slam factor on this amplifier are low, so there is hardly any wince factor unless the track is seriously walloping and your volume is high enough for it to matter. As mentioned, the Focal Elear headphone pairs so vividly well with this amp, that I consider selling off a lot of my gear that I own, if only to afford one of these 535SE’s once production begins. Fingers crossed these guys hit their backing quota so I can make that a reality. This is one of the quietest amplifiers I’ve ever heard. Volume knob cranked up to max, not even a whisper of fuzz or electronic distortion in the background on my rig. I also hear no clipping or distortion while dialing up the volume or any crackles when swapping one of the three available inputs via that knob. Excellent height, width, and depth. 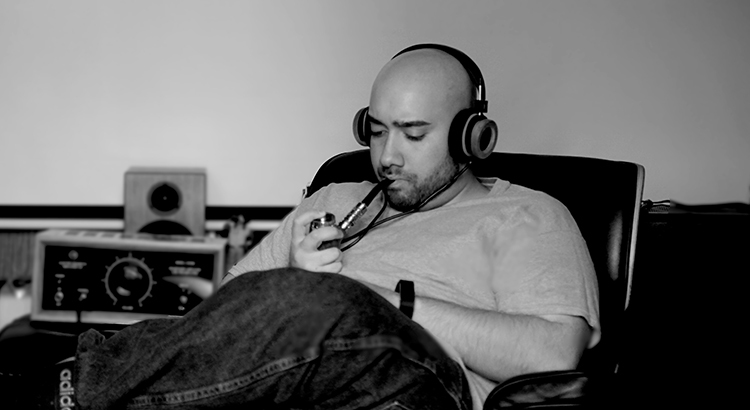 For what is there, it is superb and well suited for all headphones alike. 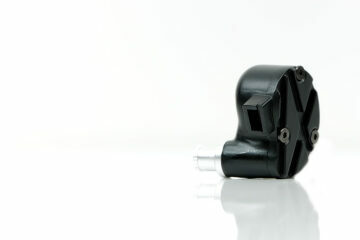 The bigger and more well defined or detailed the spatial imaging prowess is of an amp, the better. The trick is getting that shape and stage to sound well formed and not lopsided. Thankfully, team Audio Guild did a great job in component matching to ensure this turned out well. The depth of field, when paired with this Focal Elear and HD800, is mind boggling sometimes, which are headphones known for massive sound stage and stage-forward potential depth of field. I’ve sat for hours simply listening to classical music, my favorite being a live recording of the Superman The Movie OST by the Cleveland Philharmonic symphony. An amazing recording, excellent dynamics, and spaciousness. Combined with an excellent amplifier and headphone like this only makes for an unforgettable experience overall. Hopefully, my drawn lines between what I felt to be objective and subjective in this review were vivid enough to be clearly understood. This is a great amplifier, I think it may be the best solid-state amplifier I’ve ever heard sub $1999usd on an objective level and when referencing literal clarity overall. I am a bit saddened by the 2w output, I hoped for more than this, it doesn’t mesh with very inefficient headphones. At this price, I expect more output options as well, but I gather that I may be asking too much subjectively on that front when you consider it was intended as a pre-amp as well if need be. The 535SE is a drop dead gorgeous looking solid state amp that happens to sound like a very good tube amp with sweet treble, offers excellent sound staging and also the highest overall fidelity in a sub $2000 amplifier that I’ve ever tested. Great job, Steve, and Liam! You earned your crowns. Can’t wait to hear any future gear coming from you in the future, I’ll be first in line to pester you for a listen. Does the new price of Heron 5 ($600) will make heron5 is superior? Just so everyone is aware, “pledging” or “supporting” a funding campaign like indiegogo/ kickstarter is not the same as buying the product like a regular pre-order. You are investing in the company and there is a chance (from my personal indiegogo experience it is a 2 out of 3 chance) that the company will not deliver any product and you will not be legally entitled to get a refund if it all goes south. But I do wish them the best of luck, looks like it could be a great product. True in some cases though this one is a flexible funding goal so every order put in gets fulfilled. Crowdfunding does have that reputation, and we are certainly aware of the concern. However, this is not funding the development of the project or company – this is already fully hatched, with manufacturing and supplier arrangements lined up – in this case, it’s only a question of “how many” not “if.” Each order is truly a pre-order for your own amplifier. I know it’s just our word on it, but I do hope that explanation helps minimize concerns on that aspect of the project. Thanks so much for your interest! Thanks for the reply and all the best of luck on this lovely amp. If people are more comfortable – you can also pre-order directly through our website using credit card, Paypal or Apple Pay. The same discount applies to the first 25 units regardless of where you order.